Pillows and textiles at Jamini. All photos by Pavia Rosati. 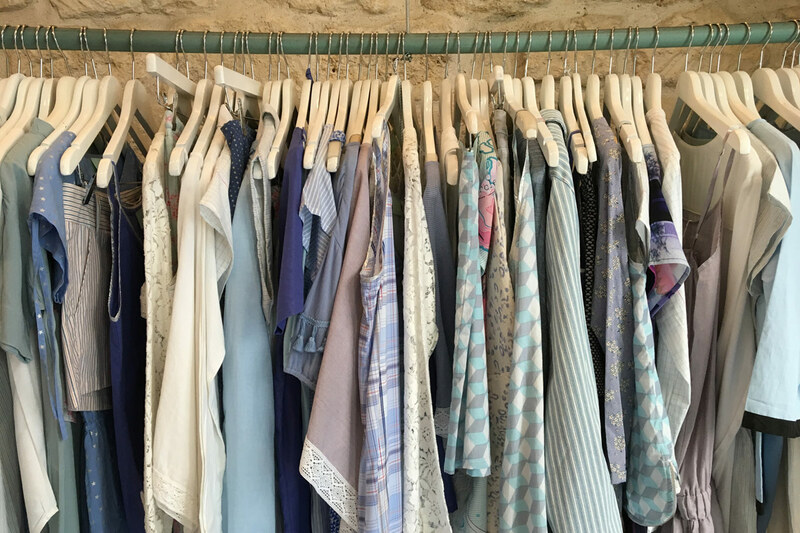 On a recent trip to Paris, Fathom founder Pavia Rosati revisited her old stomping grounds in the 9th arrondissement and found it livelier and cooler than ever. 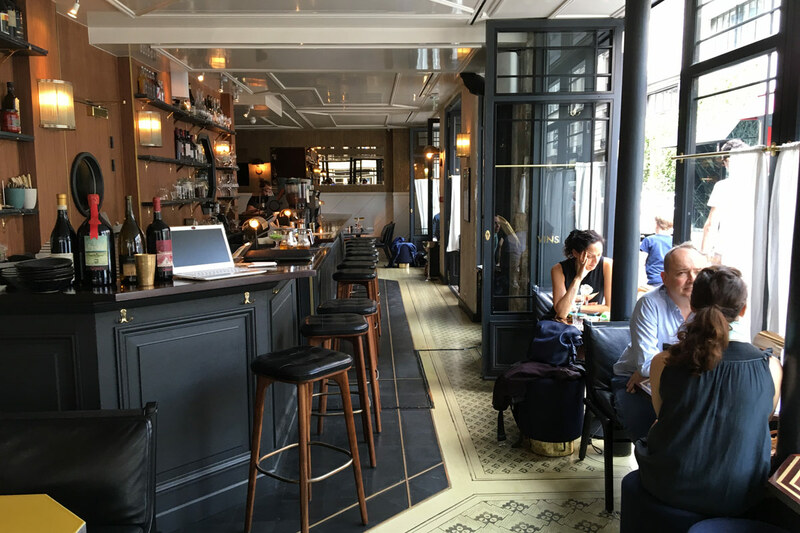 PARIS – I just got back from a week in Paris, where I spent a lot of time in the cool 9th arrondissement. The neighborhood is dear to my heart: It's where I first lived when I spent my junior year abroad in Paris. 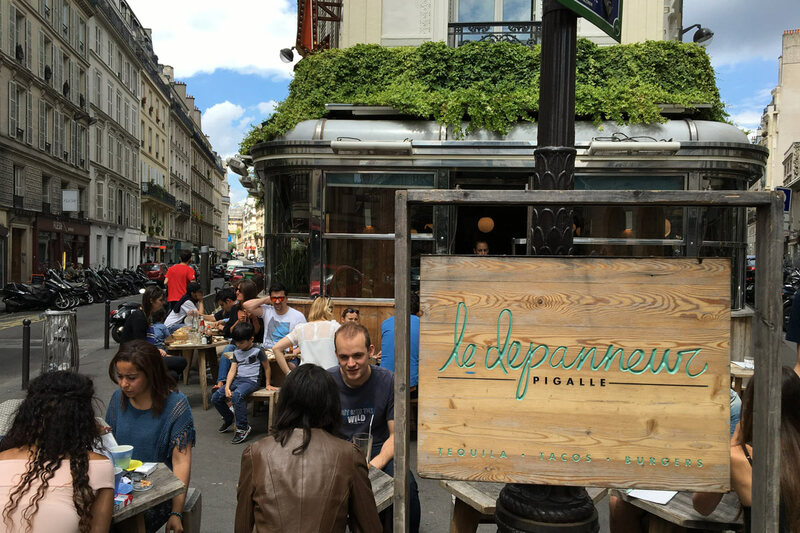 It's much trendier now than it was then, a good decade before it had acquired the unfortunate nickname "SoPi" — south of Pigalle — and I had a great time getting reacquainted with the neighborhood. It was like seeing an old friend up to new tricks. My preferred way to explore Paris, a habit that began on an eight-hour stroll on my first day in the city, is to walk the streets slowly and pay attention. Here's what I loved on the streets where I lived. The bar and restaurant at the Grand Pigalle Hotel. 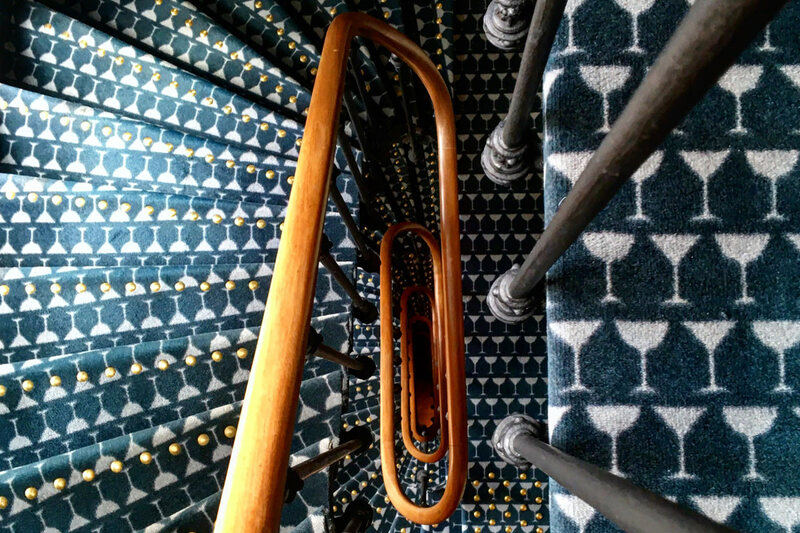 Martini themed carpet at the Grand Pigalle Hotel. My home base was the fun and funky Grand Pigalle Hotel. The hotel, the first from the founders of the cool Experimental Cocktail Club bars, exhibits a charming "bed and beverage" theme throughout the space. The dark blue carpet has a martini glass pattern, the toiletries are in wine-shaped bottles, and (no surprise) the bar and restaurant dominates the ground floor, with floor-to-ceiling doors and windows that open onto the street. The staff of Italian baristas make great coffees — I spent a happy morning perched at a table pretending to work. The rooms are cozy, which I'm using as a euphemism for small, but don't feel cramped. Our French doors opened onto Rue Henry Monnier below, which made me feel even more like I was part of the neighborhood. Rates begin at €170. Click here for reservations. For a short little street, it packs a stylish punch. Flower shops, bakeries, boutiques, eateries — it's a microcosm of the best of Paris right now. The self-described "Artisan Boulanger" sells great baguettes, croissants, sandwiches, and sweets like almond pretzels. The girl behind the counter wouldn't let me take a photo of the pretzels, which was so annoyingly French of her. You probably won't need to send anyone a bouquet when you're in Paris, so walk into this flower shop to remind yourself that the French have an exquisite green thumb and aesthetic. I love this tiny jewelry boutique and covet everything in the glass cases — delicate gold necklaces and rings with small stones. Myrtille herself will most likely be there, crafting her pieces in the back of the shop. The designer's Paris boutique is filled with his chic deconstructed separates in neutral colors and sequined gowns. Cruella de Ville would get dressed here. 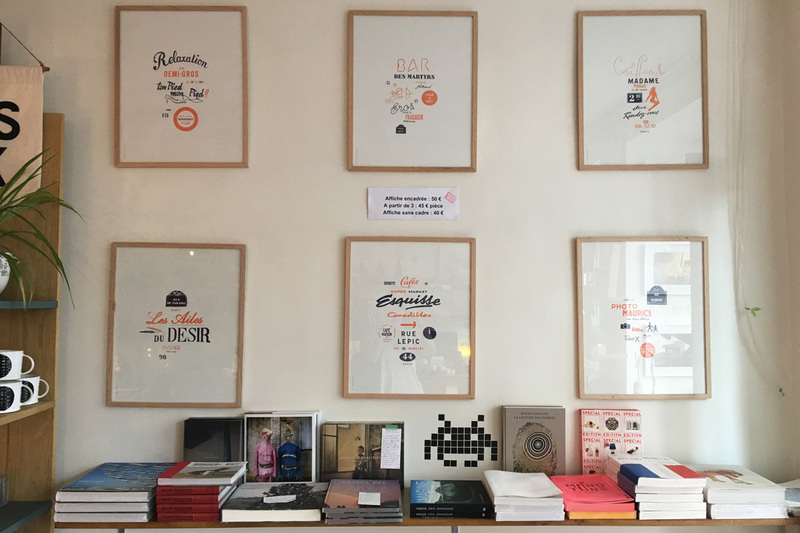 Prints and art books at Le Rocketship. 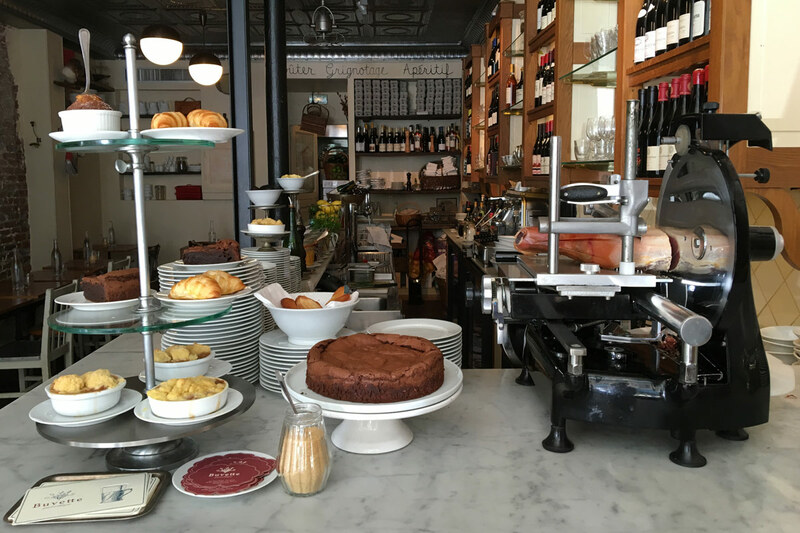 You'll want to eat what you see at Buvette. My husband thought I was crazy to suggest lunch at the replica of the restaurant we frequent in NYC, but I was curious how chef Jody Williams translated her vision overseas. Very well, it turns out. The salads were tasty, the wines were crisp, and the décor was on gastro-farmy point. A funky little vintage shop with records (Walt Disney 45s for €3! A Mozart requiem cassette for €1! A Barry White LP for €5) and kitschy housewares (shot glasses, salt and pepper shakers, coasters). 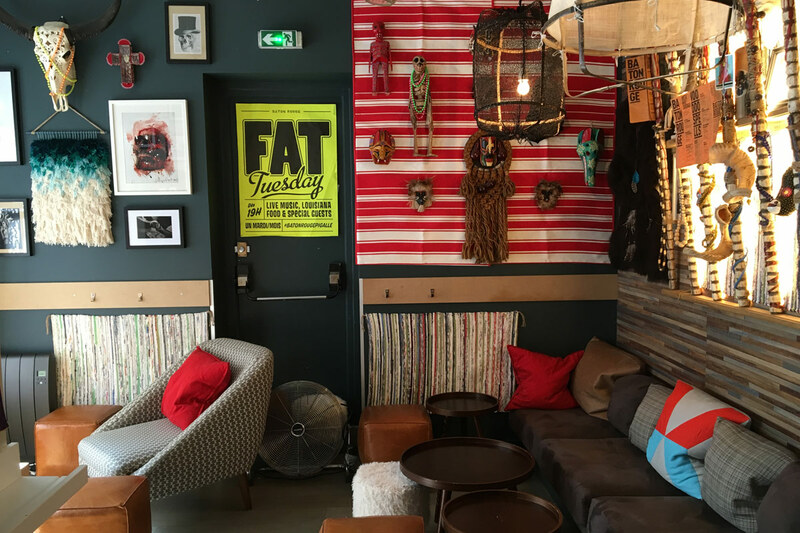 The French are having a taco moment (along with the rest of the world), and Parisians are clamoring for them at this small restaurant dominated by a long wooden bar. A self-billed "little fashion shop" filled with the kind of cute and flirty clothes and accessories worn by girls who spend all day thinking about their Instagram posts. I want everything in this housewares boutique, especially the things I don't need. 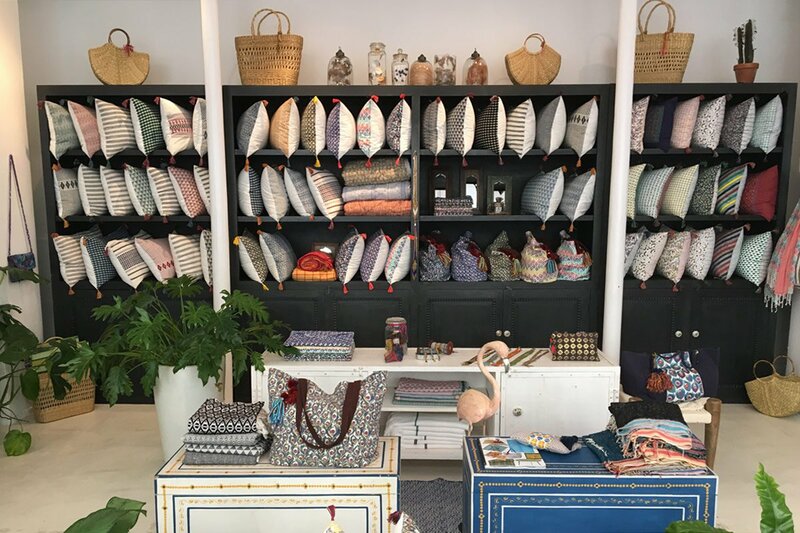 Washi tape; a collection of small, Japanese-style ceramic plates and sake cups; cool minimalist stationery by Mishmash and La Petite Papeterie Francaise; fun pillows and puzzles; neat stacks of art books; and prints made by the graphic designer brother of the shop owner. Indian embroidery and textile printing classes in Paris? Next time I'm here with free time, I'm signing up. Tailored clothing for the graffiti crew. Kanye would love this place. Vintage women's fashion for sale in an unassuming shop. There's real-deal vintage, like Courrèges and Pucci, as well as modern vintage like Prada and Balenciaga. Adorable baby gear — sleeping sacs, bibs, toys — to ensure a super-adorable bébé. 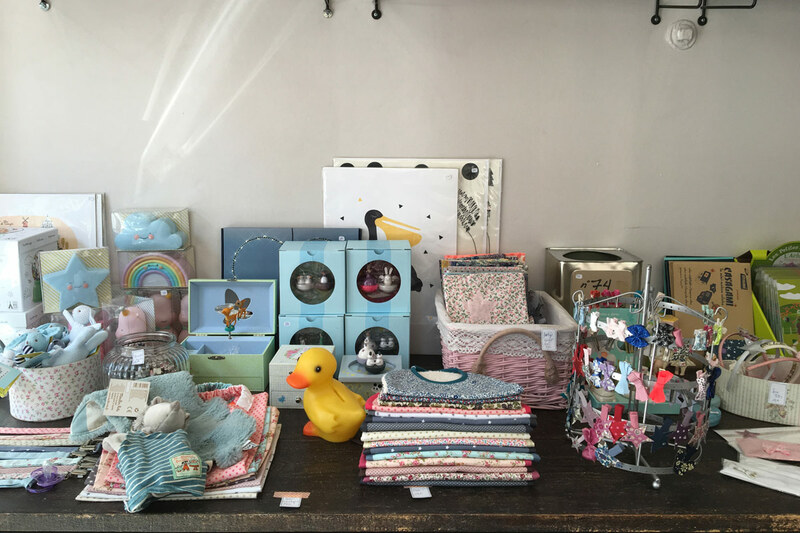 Adorable baby gear at Pois. Plume. Flirty Frenchie chic at Juju S'Amuse. Easy-breezy women's separates — lots of pastels and relaxed shapes. Among the sweet accessories are paisley Bensimon sneakers. The requisite bijoux chocolate shop where the house-made options include glaciers (ganache matcha, praline citron, geranium), dark bars (ginger, nougatine, pistachio), and assorted squares (orange confit, salted caramel, tea/coffee). Ultimate Parisian chic women's boutique, where I especially loved the ladylike heels by Patricia Blanchet. See you in the lounge at Baton Rouge. What a cool bar! What a welcoming lounge! What a killer selection of whiskey! Come here to stock up your dreamy Parisian picnic. The cute concept shop and tea salon sells the same stuff (shoes, jewelry, watches, socks, books) as its sister outpost in Les Halles, but has a bigger tea room. #bio #sansgluten #vegetarien #vegitalien #faitmaison reads the menu at this "healthy gourmande" bistro where options include La Crudivore plate of falafel for €14.50 and raw chocolate cake for €7.50. 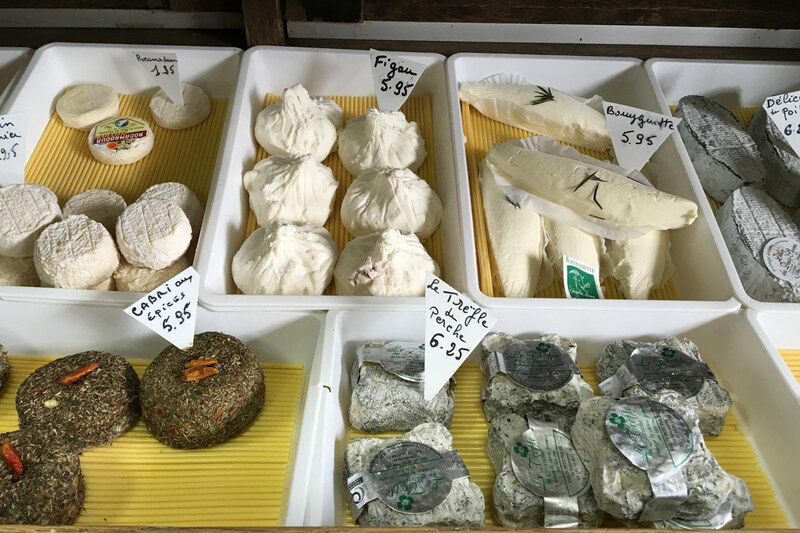 So much chèvre at Fromager Chataigner. Everyone credits this as the street that made the neighborhood. But as bigger brands like Kiehl's move in, Martyrs feels more commercial than Henry Monnier. But indie spots remain, not to mention many excellent food shops. Do your shopping on Monnier, then your snacking on Martyrs. The reverse order will be no fun in the dressing room. Wow, do I wish I lived upstairs from this gorgeous cheese shop staffed by efficient older French ladies. The small cheeses on display include an array of chèvres in fun shapes like baguette and figue (there's a fig inside). Don't even get me started on the mounds of butter for sale by weight. A cute, commercial shop stocked with a dizzying array of jams in flavors both simple (apricot, passionfruit) and complex (pineapple/rum/coconut; raspberry champagne), as well as caramels, chocolates, honeys, and confits for cheese and meat. Another food shop that makes me wish I could do my marketing here every day. Established in 1955, it has a very modern look (that tile floor!) and such tempting pâtisserie. The shop established in 1877 sells preppy French menswear — brightly colored separates and shoes. You know, the uniform not-so-gentlemen wear throughout their louche summers on the Riviera. Classic styles of women's and men's leather shoes, and a great assortment of oxfords. What do you want to personalize? An iPhone cover? A flask? A lighter? They'll laser engrave it while you wait at this graffiti-covered shop. The cream puff is poised to become the new madeline, as evidenced by this pretty boutique where of-the-moment flavors include rose, praline, and apricot panna cotta. They buy and sell vintage and estate jewelry (oh, those Art Deco sapphire earrings…) and watches (Omega, Boucheron, Cartier, Longines). Yes, this unassuming spot is the British bakery that became the sensation of Paris. Save room for dessert. Sisters Margot and Scarlet are behind this eat-in or take-out bakery and café that sells their baking mixes for breads (grains, raisin-hazelnut), cakes (carrot, fondant au chocolat), cookies (financiers, cereal bars), and other goods (scones, galettes). The healthy ingredients are sourced, whenever possible, from France. You can taste before you buy: The cafe serves pastries made from their mixes as well as sandwiches, eggs, juices. Grab a seat outside at Le Depanneur. Excellent assortment of vintage and antiques that skew more design-y and elegant than kitschy. Lamps, furniture, jewelry, and the requisite credenzas of knick-knacks. If you're in the market for a microphone, equalizer, you're in the right place. Rue Victor Massé is packed with music shops selling general interest gear and specialty items. At the intersection where Rue Victor Massé becomes Rue de Douai and Rue Notre Dame de Lorette becomes Rue Pierre Fontaine, lies a mellow, California-inspired eatery that serves terrific fish tacos. Grab a seat outside — it's a great scene.